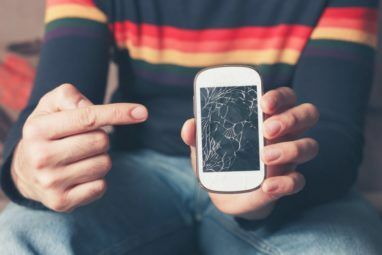 All electronics eventually die, become obsolete Planned Obsolescence: Why We Can't Have Nice Things Planned Obsolescence: Why We Can't Have Nice Things How much money are you wasting due to "planned obsolescence"? In this article, we explain what that is, why it should concern you, and what you might be able to do about it. Read More , or get replaced. What do you do with the old ones that you no longer need? Recycling is a great idea, but figuring out where to take things for recycling can be a hassle. Why not turn them into something cool to decorate your home? 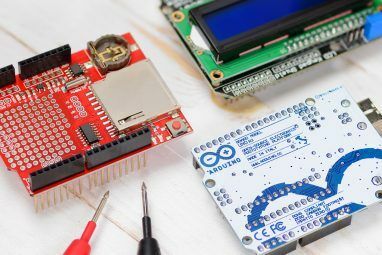 These eight projects will take electronics from hard drives to CRT monitors and help you turn them into something you’ll be proud to display. 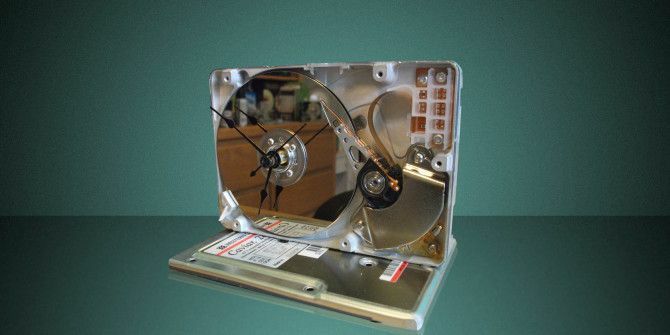 If you’ve ripped all of your DVDs The 11 Best Tools for Ripping DVDs and Blu-rays to Your Computer The 11 Best Tools for Ripping DVDs and Blu-rays to Your Computer Still own DVDs or Blu-Rays? Those discs won't last forever, so back them up! Here are the best free tools for doing that. Read More but still have them laying around and aren’t sure what to do with them, this project is a great way to use them. DVDs are significantly more lustrous than CDs, and so they make for fantastic mosaic pieces! The instructions use a birdbath as an example, and they recommend 20+ DVDs, so you’ll need to scale your project accordingly. After heating up the DVD, you should be able to separate it into two pieces, with the rainbow film in the middle staying with the clear plastic side, which will protect it once you get it on your project. This requires using a hair dryer or another source of heat, so be careful! Once they’re separated, just cut the pieces up and glue them on. Old cathode ray tube Everything You Need to Know About Television Technology Everything You Need to Know About Television Technology Before the days of mobile devices and laptops, our entertainment needs were mostly filled by one source, the television. Read More (CRT) monitors take up a lot of space in your closet or garage, and are a pain to recycle because of their huge size. Why not beautify your house with it? Instructables user Denizpa shows you how to disassemble the monitor and turn it into a planter that you can use to house some plants in your house or office. With a few basic tools and a can of spray paint, you can complete this project in just a few hours and at very little cost. Make sure to be careful when disassembling the monitor, as any capacitors that still hold a charge can be dangerous. Also, don’t contribute to e-waste Thou Shalt Consume: The Story of Consumer Electronics [Feature] Thou Shalt Consume: The Story of Consumer Electronics [Feature] Every year, exhibitions around the world present new high tech devices; expensive toys that come with many promises. 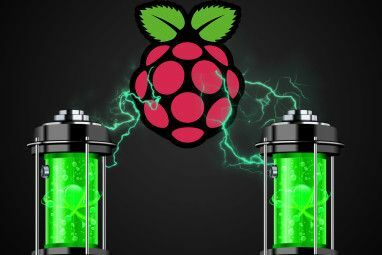 They aim to make our lives easier, more fun, super connected, and of course they are status... Read More : make sure to recycle any components that you can. Using a hard drive as the base for an analog clock is satisfyingly contradictory, and this particular clock is one of the best-looking ones out there. It requires a drill, a machinist’s vise, some Torx screwdrivers, and a clock movement, but the actual disassembly of the hard drive and putting together of the clock is fairly simple. User aloew points out that placing the hard drive magnet near anything electronic Do You Need To Protect Your Computer From Magnets? Do You Need To Protect Your Computer From Magnets? Magnets are kind of magic. Okay, not really – but to the layman they a bit bewildering. The magnetic field they emit is entirely undetectable by human senses. One can only imagine the confusion our... Read More could be disastrous, so make sure that you’re working in a space away from your phone, tablet, and laptop, and to dispose of the magnet properly (or keep it and turn it into something fun, just don’t let it destroy any of your electronics). This project is quite a bit more involved than the analog clock, but the final effect is worth the time and effort you’ll spend on it. By creating a persistence-of-vision (POV) effect, LEDs mounted on the hard drive platter show a digital readout of the time or an analog-like display of clock hands. In addition to having a printed circuit board made for you, you’ll need to solder components onto it Learn How to Solder, with These Simple Tips and Projects Learn How to Solder, with These Simple Tips and Projects Are you a little intimidated by the thought of a hot iron and molten metal? If you want to start working with electronics, you're going to need to learn to solder. Let us help. Read More , cut acrylic for the case, and do a lot of wiring to make sure everything’s going to work correctly. It will require a lot of patience, but the finished product is stunning! FuneLab is working on releasing kits that will include the necessary parts to do this, which would make the whole thing a lot easier, but I haven’t seen any indication that it’s available yet. Refrigerator magnets are a fun way to leave reminders, create poetry, or just have fun with words in your kitchen. You could buy a set, but why spend the money when you have a bunch of letters sitting around on an old keyboard anyway? With a sheet of magnetic material, some hot glue, and the keys from an old keyboard, you can make your own refrigerator magnets in just a few minutes. Instructables user DIY Hacks and How Tos shows you the simplest way to do it. Though you’ll have to use at least a couple keyboards to be able to spell any words that have two of the same letter in them. Not sure what to do with a few old hard drives 5 Good Reasons To Save Your Old Hard Drive From The Trash 5 Good Reasons To Save Your Old Hard Drive From The Trash Most of us have our data spread across several devices, storage media, or services. Storage capacities continue to expand at affordable prices, digital devices diversify, and as a result we are increasingly moving data to... Read More ? This wind chime project will put the platters to good use, and some version of this craft project use the platter spacers as well. I’ve even seen the read/write head incorporated into some! The video above shows a pretty simple ways of making the chime, but you can definitely get a bit more complex and require drilling, soldering, and other basic electronics skills Beginner's Electronics: 10 Skills You Need to Know Beginner's Electronics: 10 Skills You Need to Know Many of us have never even touched a soldering iron - but making things can incredibly rewarding. Here's ten of the most basic DIY electronics skills to help you get started. Read More . You’re really only limited by your imagination with this one. This project idea from IKEA Hackers (one of the best sites for sprucing up your home Remodel Your Home: 6 Websites for Learning the Basics Remodel Your Home: 6 Websites for Learning the Basics Would you rather put up with an unsatisfying home? Or spend a bit time and energy making it into a place that makes you smile when you walk through the entrance? Read More ) is a great way to add some interest to the lighting in your house on the cheap. Jules Yap used empty circuit boards bought online, but you could use circuit boards that you’ve rescued from an old computer instead — just be careful about taking components off of them (or, if you want, leave some of them on). Combine the attached circuit boards with an IKEA Hemma cord set and some lightbulbs, and you have yourself some cool circuit board lights! As always, please be careful when trying to disassemble any computer parts, especially if you need to use heat. Some old keyboards have really cool circuit sheets hiding inside them, and Instructables user ChrysN came up with an awesome way to turn them into lampshades that you can combine with an LED puck light to make a nice desk lamp that doesn’t create a lot of harsh bright light. These eight projects are a great place to get started in decorating your home with old electronics, but there are a lot of other cool ideas out there. If you have an old piece of electronic equipment, you can be sure that someone has turned it into something beautiful and posted about it online. What are your favorite electronic home decorations? Have you made any of them? Or have you come up with your own decorating ideas that incorporate pieces of old computers? Share your favorites in the comments below! Explore more about: Electronics, Home Improvement, Interior Design, Recycling.